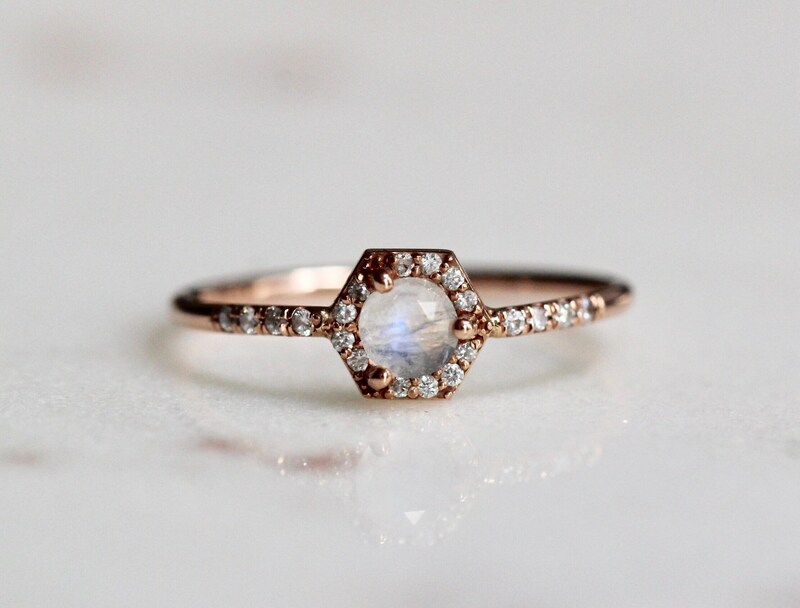 Let everyone see your halo, with our 14K moonstone and diamond "Halo" ring! 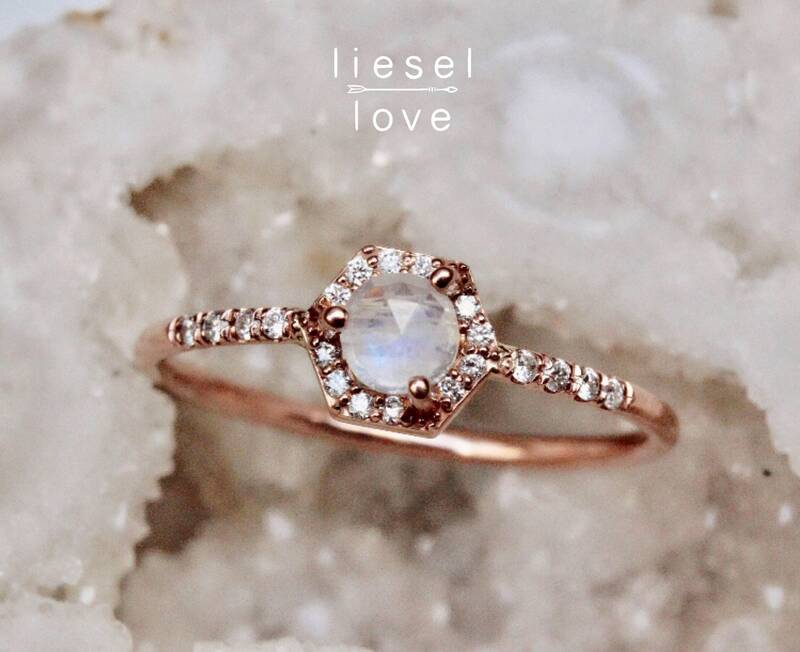 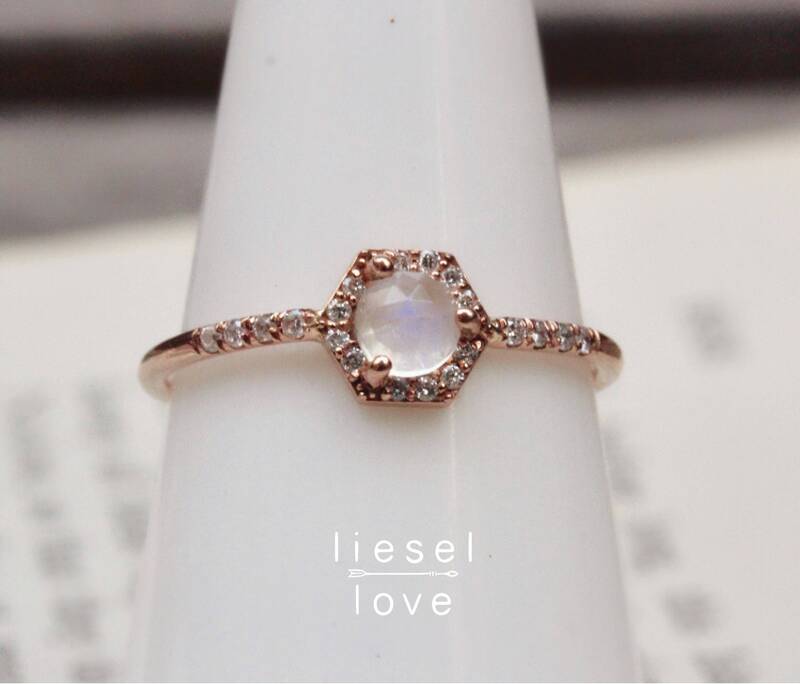 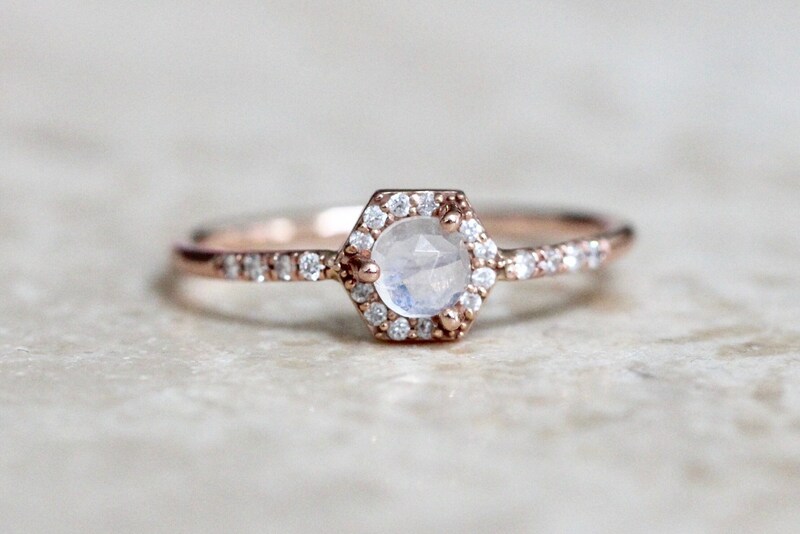 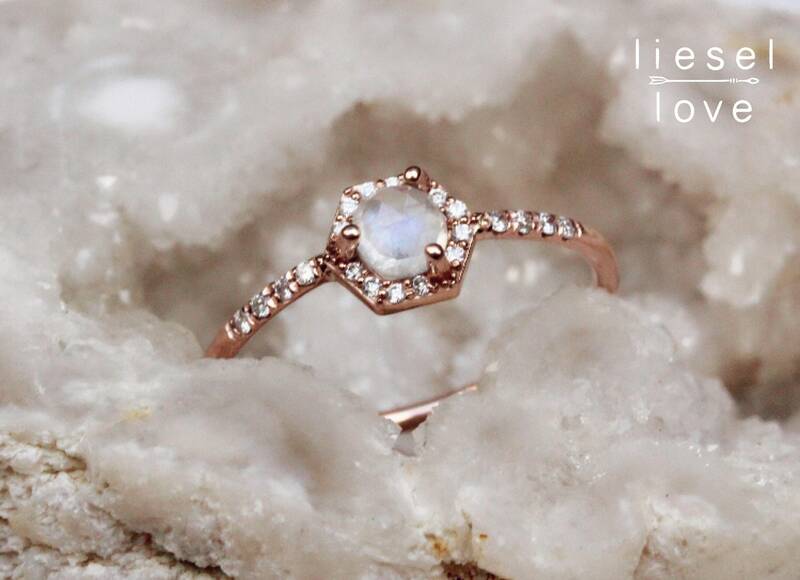 Rainbow moonstone is surrounded by tiny diamonds to create a a ring with both color and sparkle. 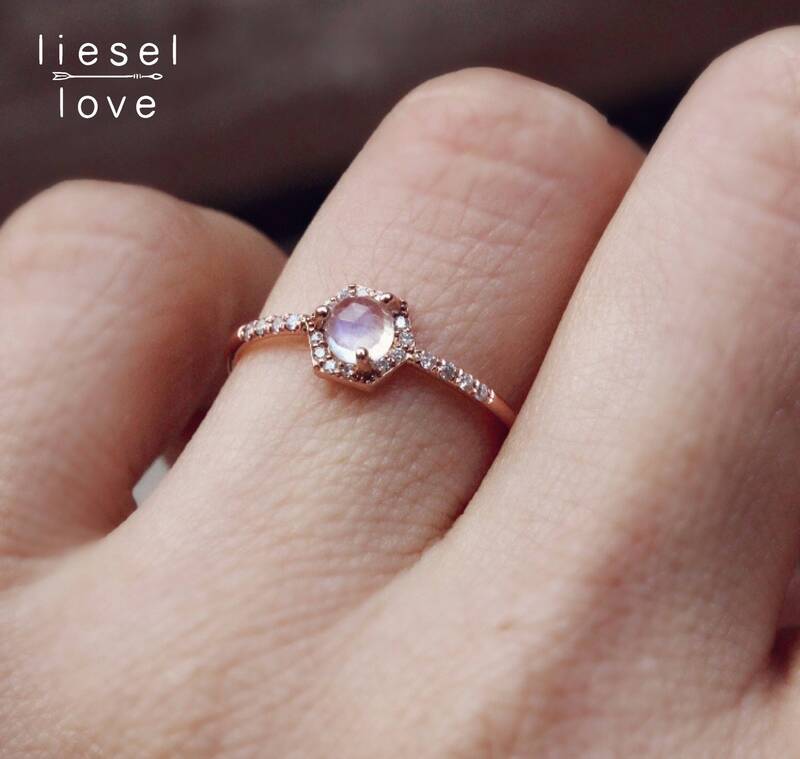 Perfect as a statement ring or as an engagement ring for the bride that wants something a little different.